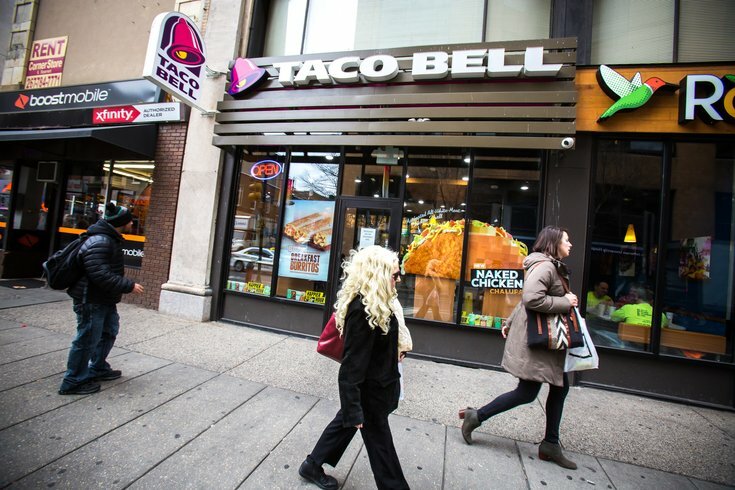 Pictured is the Taco Bell location at 1037 Chestnut St. in Center City Philadelphia. A University of Pennsylvania doctoral student says a Taco Bell employee used a racial slur to describe him on his receipt. In Young Lee said the incident happened at the fast food restaurant at 1037 Chestnut St. in Center City early Saturday morning after a night out, he wrote in a Facebook post. Lee described how sometimes when ordering food, he uses a different name to avoid needing to spell out his own, and that night at Taco Bell he told the cashier to use the name Steve. When he got his receipt, it contained a slur used for people of Chinese ethnicity. "Our interaction was very ordinary and cordial even, until I saw my name on the receipt that read 'STEVE C***K,'" Lee said. The cashier initially told Lee there were other people named Steve in the restaurant and that he needed to differentiate between them, but eventually apologized. However, Lee said the cashier used the slur again and laughed about it with coworkers, leading to a confrontation in which Lee admits to have "cussed him out a little bit." According to Lee, the cashier accused him of being rude by snatching his food when it was ready. It was only after others in the restaurant started calling out the cashier and manager that they apologized again. "I thought incidents like this only happen in the news and never expected it to happen to me but I guess it really does happen in the real world," Lee wrote on Facebook. "Normally I would let things like this go but under the current political climate I find it very important to address such issues and voice them loudly and clearly."